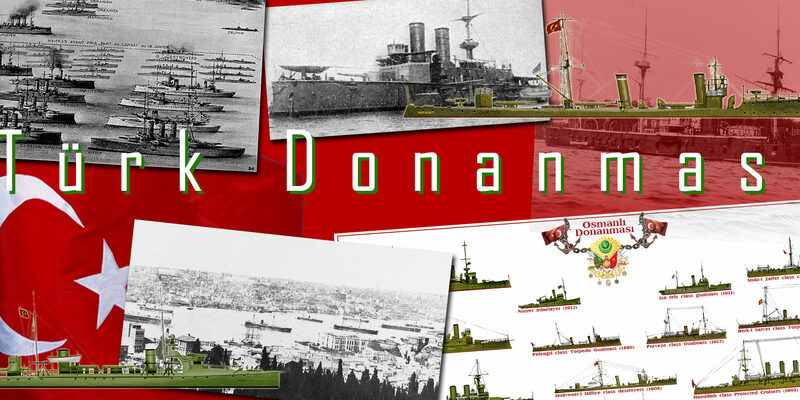 The story of the Ottoman navy goes back centuries, after the fall of Constantinople in 1453. By then an empire was born, that would take the lead in the Mediterranean. 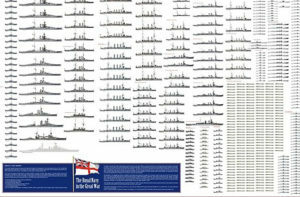 Its fleet mostly counted galleys and fast ships based on galley hulls (Xebec and derivatives). 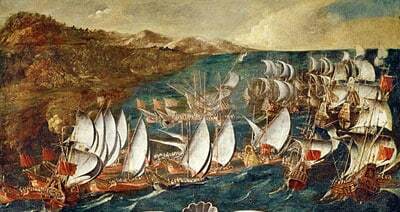 In 1571 when the fleet was at its peak, its golden age, a pivotal battle took place between it and a coalition of Christian powers. This defeat however never really stopped the effort of Sultans to dominate the area until the XIXth century. Certainly the poor relative of the Turkish army, the navy had been once the most powerful of the Eastern Mediterranean for several centuries. 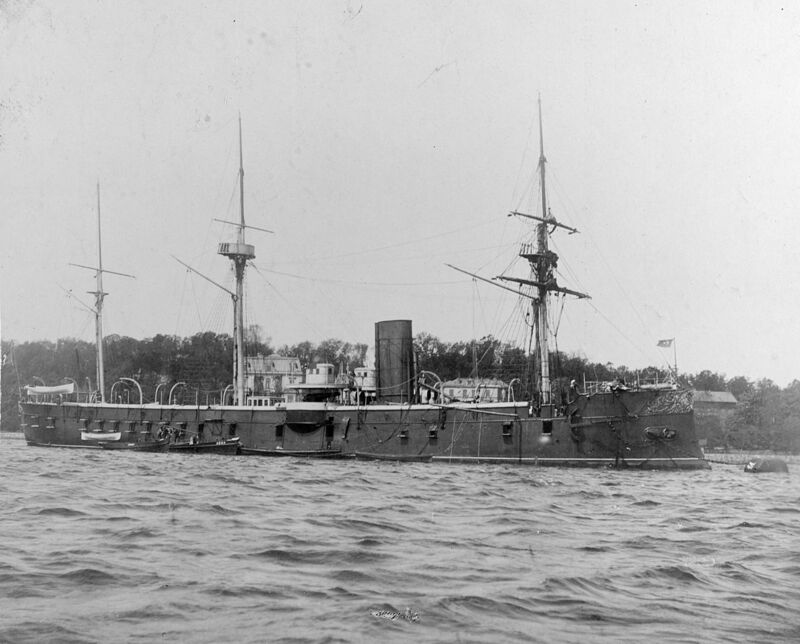 In 1870, it still dominated the Russians in the Black Sea, and was unavoidable in the Indian Ocean and the Red Sea, not to mention the Mediterranean. But since the empire had suffered defeats, which had been destroyed by considerable losses of territory, the navy had seen its budget dwindle at great speed. There were virtually no new orders from abroad. 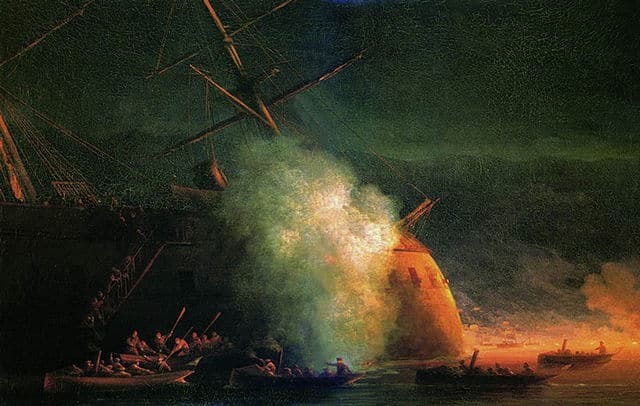 The defeats suffered in the face of the Russian fleet were not foreign to it, and the navy had lost its prestige and the confidence of the rulers of the empire. 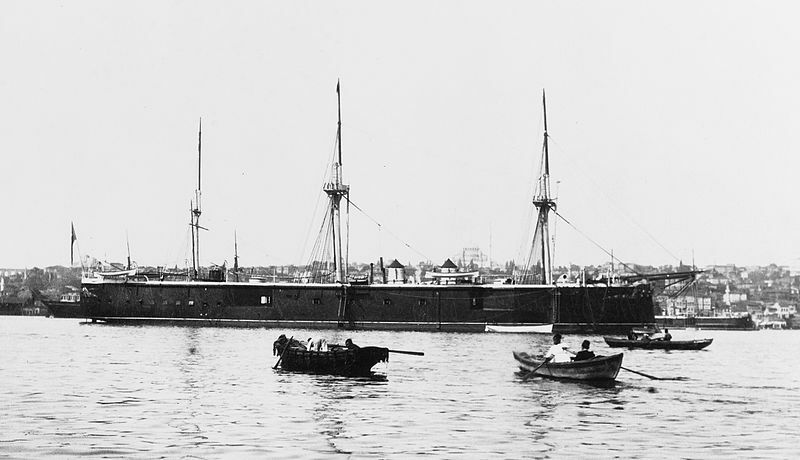 If it had played a major role in the ousting of Sultan Abdul Aziz for the benefit of Abdul Hamid II in 1878, it was dismantled and demoralized; Without maintenance, its numerous and powerful units were abandoned and rotted with rust. Beginning in 1884, a few orders gave way, but did not alter the pace of decommissioning of powerful buildings. 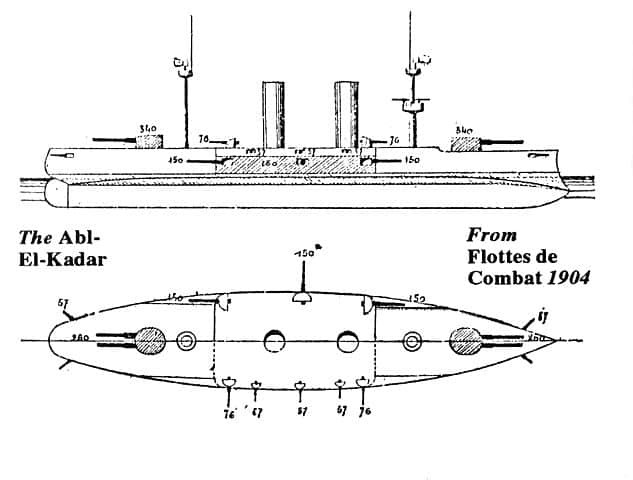 In 1890, an ambitious new plan had been issued for orders of Hoche battleships to France and the reconstruction of old battleships, but no orders for cruisers or destroyers were pursued. At the beginning of the century, two new cruisers and destroyers were built and acquired but were also condemned to total inaction while the old battleships were modernized and converted into coastal ships. The coup d’etat of the “young Turks” was going in 1909 to change the attitude of Turkey vis-à-vis its fleet. This nationalist movement reacted to ambitions of naval power, and announced at the outset a 6-year naval plan consisting of 6 battleships, 12 destroyers, 12 torpedo boats and 6 submersibles. 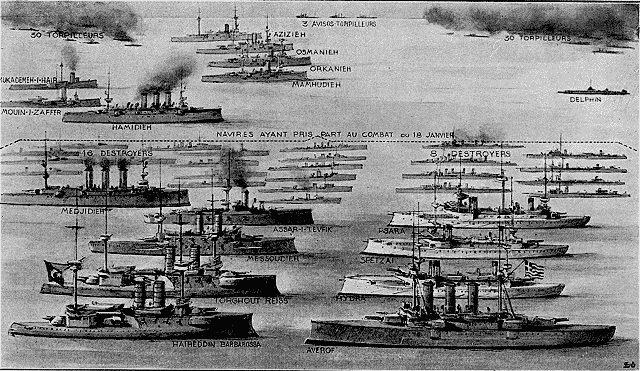 The realization of this plan was delayed so that when the war broke out in 1911 with Italy, the Turkish fleet was completely unprepared. In order to deal with the emergency, the government bought 2 German battleships and 4 destroyers, as well as rapid civilian ships for reconversion into gunboats. This decision was to be credited to the two British Rear Admirals, William and Gamble, who had been appointed to the fleet in 1910 by their naval commission in Istanbul. Nevertheless, the lack of audacity of the fleet meant that few sorties The fleet consisted of the two battleships, two cruisers, and five destroyers, came out of the Dardanelles to anchor in Beirut, but the vessels in other ports on the coast, including Izmir, were cut to pieces by the Italian Navy. His forces could not prevent the Greeks from taking control of almost all the islands of the Aegean Sea during the Balkan war. At the beginning of this war against the Greeks, one of the aims of which was to retake Crete, Turkey bought back to Britain the battleship Rio de Janeiro, which should have been called Sultan Osman I. We know that the latter Was at its completion integrated into the Royal Navy. Other orders were given to Germany and France, but none were definitive. It was also studied the possibility that large British shipyards would take over a number of Turkish ports, including Izmir, by a thirty-year lease, but the outbreak of war ended the project. In 1914, the Turkish army was very effectively guarded by German officers (a military mission had been installed since the end of 1913 under the orders of General Von Sanders). The navy, partly equipped with the German, was also influenced by the policy of Berlin. 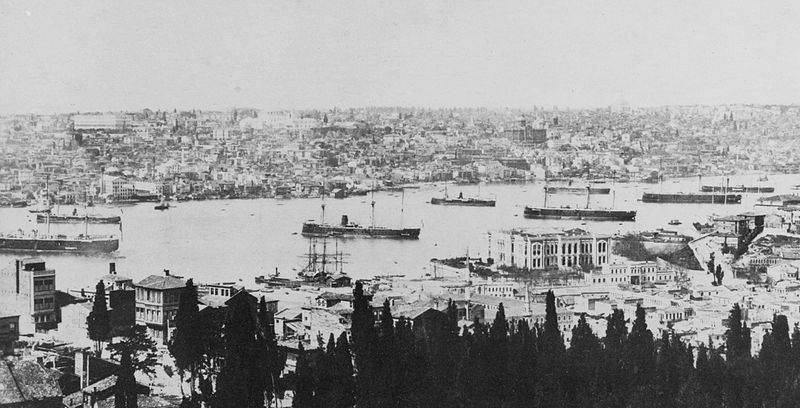 When in August the Turkish ships ordered were seized by the British, public opinion but especially the nationalist government declared war on the triple agreement. A miracle then took place: In the Mediterranean was the German squadron composed of the battle cruiser Goeben assisted by the cruiser Breslau. This squadron, commanded by Rear Admiral Wilhelm Souchon, was at Alexandria, which he was to leave in disaster, and the French and British naval forces were preparing to hunt down and annihilate it. Against all expectations in his desperate position, Souchon chose to rally directly to the Dardanelles and to take refuge in Constantinople, which he reached on the 11th of August. At that moment the two ships were refugees in a neutral port, and the Turkish government, with the consent of Berlin, bought the two ships, which at once strengthened the fleet two fold. 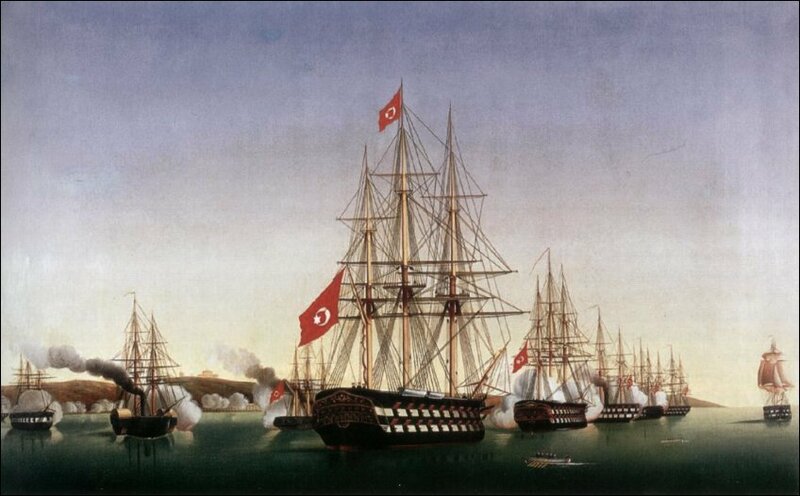 As of November 1, the Ottoman Navy reorganized around the Yavuz, shelled large Russian ports of the Black Sea. Sultan Osman I artist impression, Brassey’s Naval Annual 1914. The ship was to be resold to Brazil but ended in British service as HMS Agincourt. 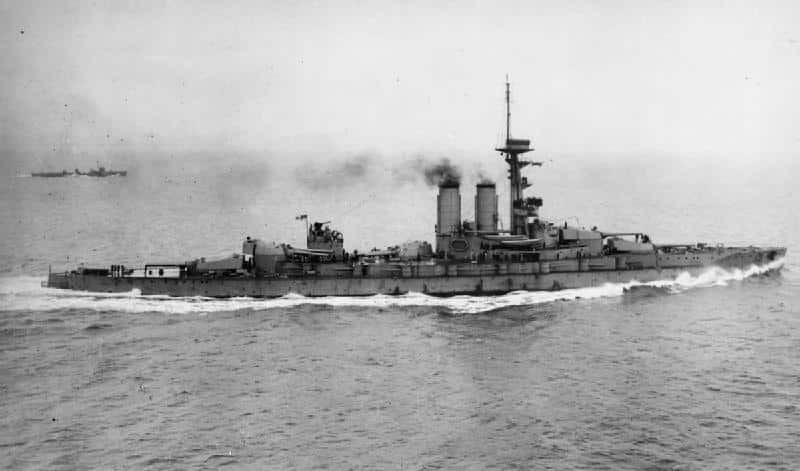 However, this reinvigorated fleet never made a sortie westwards while the Dardanelles’ forts, mines, nets and batteries would inflict more damage on Franco-British forces during their attempted landings than any other Mediterranean force of the Central Empires. 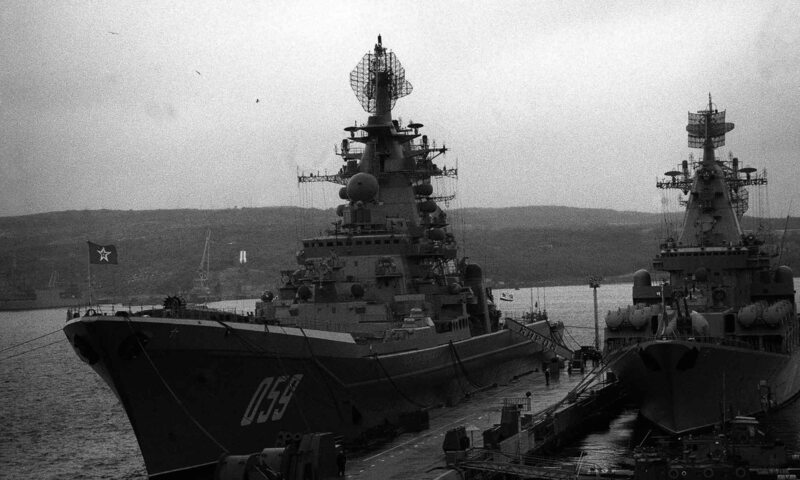 Raids of Turkish-German ships were infrequent but effective, and contributed to the disorganization of Russian supply convoys. In addition, flotillas in Mesopotamia, on the Euphrates and the Tigris, were set up to fight against the British, using small German ships that came through Bulgaria. Resadiye was seized by the British Government in 1914 and completed, put into service as HMS Erin. In 1918, however, the Turkish military situation had settled on land to the south, whereas Mudros fell at the right time. 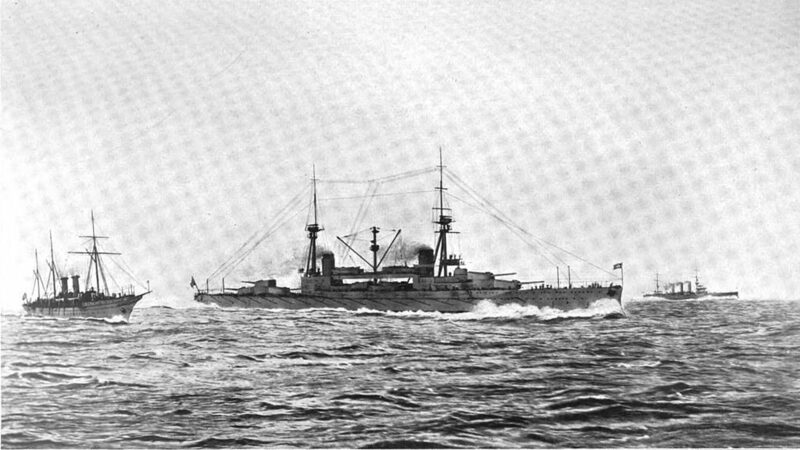 The fate of the Goeben would normally have been to join other ships of the Hochseeflotte sent captive to Scapa Flow, but under the new name of Yavuz Sultan Selim and command of Admiral Arir Pasha, she seemed to escape this fate as now permanently integrated into the Turkish fleet, although interned in Izmir under British control. 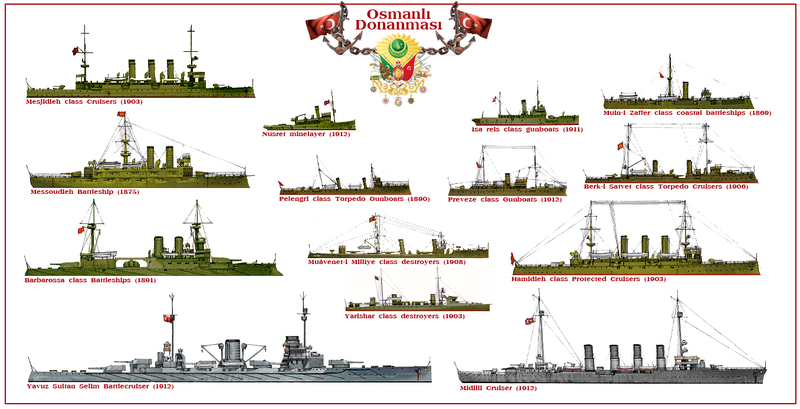 By the treaty of Sèvres in 1920, however, this Ottoman fleet was singularly amputated by discarding and breaking up several ships, reduced to 7 gunboats and 6 torpedo boats whose armament was precisely limited. The Yavuz, like the rest of the heavy ships, was supposed to be given to Great Britain or Japan. Finally, in 1922, Mustafa Kemal (Ataturk) in Anatolia kicked the Sultan Mohammed VI in 1922 after a revolution and a civil war, and the two gunboats of the Kemal forces took refuge in the Fleet of the Black Sea, then in the hands of the “Reds” to avoid capture. Finally, the Turkish Forces defeated the Greeks and their victory was recognized by the Treaty of Lausanne on July 24, 1923. This agreement also signed the release of the Turkish fleet interned in Izmir and saved the battleship Yavuz for good. The ship would be modernized and refitted, which was carried out by the Gölcük Naval Shipyard from December 1927, overseen by French Atelier et Chantiers de St. Nazaire-Penhöet. Sh was renamed again just “Yavuz” in 1936 and was slightly refitted in 1938. Turkey was neutral during WW2 despite pressure, and the ship was still in service at the beginning of the cold war. Sadly, whereas she was decommissioned in 1953, she was not scrapped until 1973, and all this time nobody tried to have her purchased for preservation, as the only example of a WW1 battlecruiser afloat. Turkey did not had the budget, but contacted the Federal Republic of Germany and offered to sell it in 1963 as a museum ship. But the Western Germans had other priorities than restoring and showcasing an Imperial ship, associated with an old militaristic regime and the rest of the world did not created a collective. Nowadays only her propeller is showcased at Gölcük.